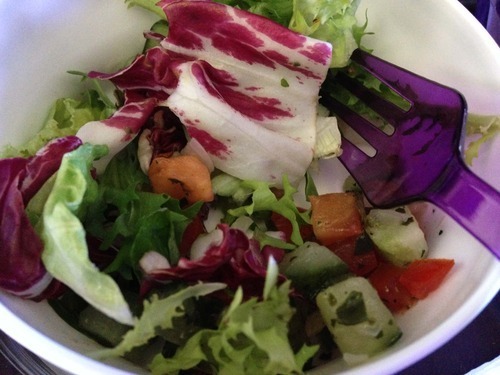 Travelling is always a challenge if you have dietary restrictions, through choice or medical need. I have memories of trying to find vegetarian food in France in the 90’s. I eventfully found a restaurant that seemed to cater for my meat free needs, only to be disappointed (okay- horrified!) to discover pieces of lovingly chopped up bacon at the bottom of my Oeufs en Cocotte! I have only been gluten free for a couple of years, and during that time, I have self-catered, when I’ve travelled overseas, including on the journey.I hadn’t been to Florida for a while so I was excited to see what gluten free delights were available! With the likes of Gwyneth and co. leading the way for alternative eating styles, there was bound to be a variety of options available to me. However, the first hurdle to cross, was the flight. If the category you need isn’t listed, you can call the Special Assistance Department. I’m guessing if you wanted a Gluten Free and Vegetarian meal (and all of the other variations), then you would need to do this. 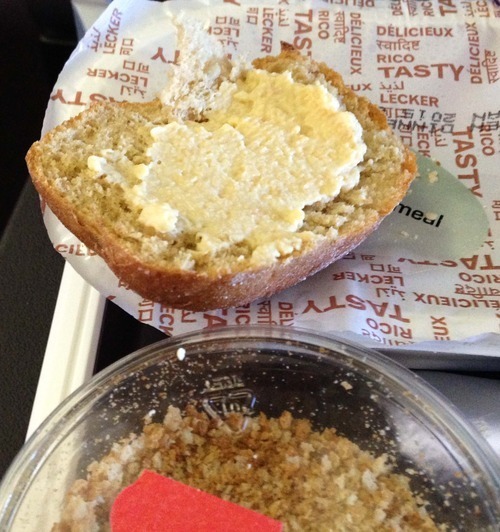 I was a little nervous because, I had read that sometimes requested meals weren’t loaded onto the flight. I don’t ‘love’ flying at the best of times, so a journey of over 8 hours without food, wouldn’t be great! I did plan to pack some snacks, just in case, but totally forgot, so had my fingers firmly crossed on takeoff! 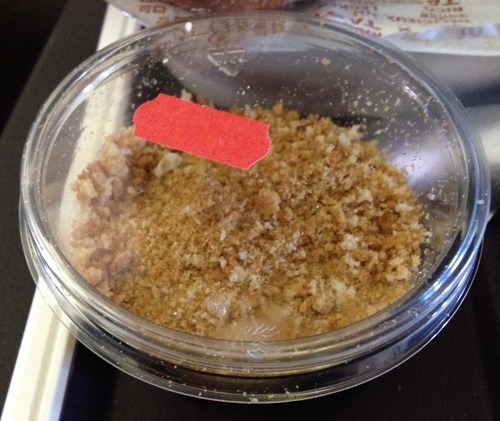 The first item to be served on the flight was the small bag of pretzels, along with a drink. Of course pretzels aren’t gluten free, and there was no alternative available, however there was gin and tonic! It doesn’t affect me adversely though (unless I drink too many, and not in a dietary sense!! 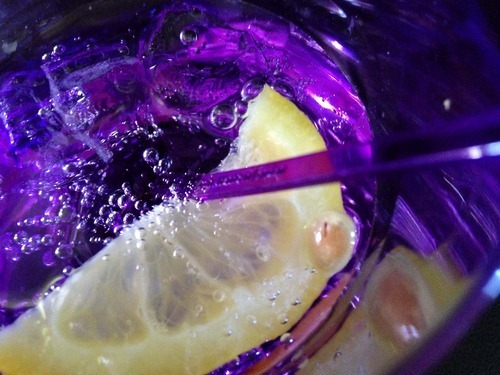 ), so that’s what I had, and very nice it was too! It was then time for lunch, which I awaited with trepidation. The special diets and children’s meals were served first, so I didn’t have to wait long. The first course was a mixed salad, which consisted of lots of ‘tricky to eat with a plastic fork’ lettuce, chopped tomatoes, cucumber, and an overpowering amount of chopped onions in a dressing, served with a gluten free roll and butter, which was ok. 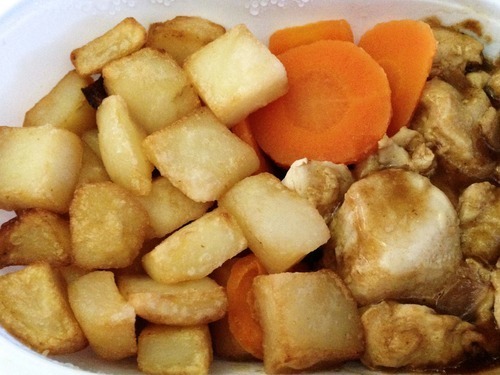 The main course was chicken in gravy; small cubes of roast potato and carrots, altogether a bit ‘brown’ and under seasoned. There were small sachets of salt and pepper, but as everything was squished together on a small tray, I didn’t find them until after I had finished. I really would have liked it if the meal carton had a label on it describing what you were about to eat. The passengers eating the regular meals had a choice of three different meals, so although It wouldn’t be feasible to choose, labelling the food would take away the ‘like it or lump it’ vibe (I have to say, not the attitude of the crew, who were fantastic). The dessert was a bit puzzling. It had a suspicious looking crumb topping. I asked the flight attendant whether it was definitely gluten free as there was no description or ingredients listed on it, but she wasn’t sure, so I gave it a miss. Later on in the flight there was an ‘Afternoon Tea’ service, which was a really delicious egg mayonnaise roll (which I forgot to photograph, as I was so hungry by then!) 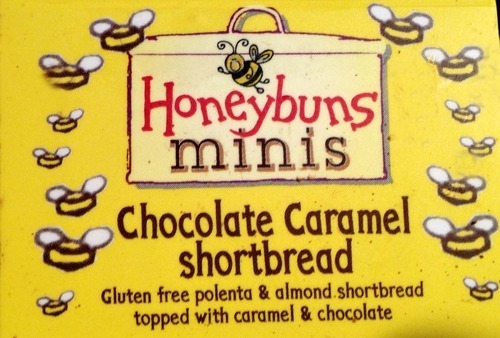 and a Honeybuns Mini Chocolate Caramel Shortbread, which was by far the best food of the whole flight. I’m sure if I hadn’t been travelling Economy, I may have had better meal options, but my expectations weren’t high to begin with, so I wasn’t disappointed. At least there was something to eat!